Just got advance copies of my eigth and ninth books arrive. Smaller softcover titles this time. Especially like the Mount Ngauruhoe cover; Beaut. You should see these in shops in the next week or two. Rob Suisted's new book titles due any day - Birds of New Zealand book, and National Parks of New Zealand Book. New Holland Publishers. 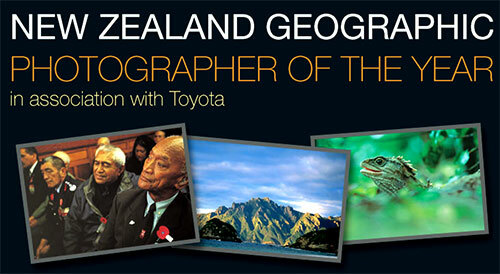 I’m judging the NZ Geographic Photographer of the Year Photo Competition, alongside Andris Apse and Arno Gasteiger. Entries are open now, there’s $6000 and a bit of fame up for grabs, and entry is free & online. No excuses not to enter. Closing date for entries 10pm, Tuesday 21st September, 2010. Get into it. Hopefully I’ll be viewing your work soon! Good luck. You're browsing entries tagged with NZ Geographic Photographer of the Year Photo Competition at Nature’s Pic Images Blog.